Today is unlikely to remain unnoticed among the bustle associated with the preparations for the upcoming holiday. However, you may encounter some unpleasant experiences today. Emergency problems are possible to happen at work, in the family, or among your friends. 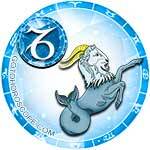 In order for Thursday to bring a productive outcome, you will have to fully mobilize yourself to make it happen. 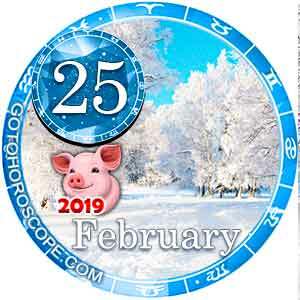 As an option, prioritize your time and come back to secondary issues later. .
Aries on this day should not be thoughtlessly hurried trying to catch everything. Your priority should be matters related to your profession, business, or finance. It is not recommended to mix work and your personal life. Also, do not exaggerate your energy potential. There is a risk that it will not be high, or you may experience a crash even doing minor activities. In the evening, you should seriously think about how to increase the stock of your strength and energy. 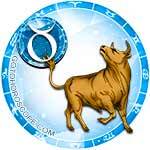 For some Taurus, Thursday will be swirling. There is a chance that the flow of sensational events, mysterious meetings, and dizzying news will bring you out of a rut. It is possible that a source of pleasant excitement will be a new victory for you in professional affairs or a major achievement in business. This day is not great for friendly meetings. Most likely, relatives with envy or skepticism will react to your victories. Gemini can spend February 21 leisurely. This day promises to bring small victories in professional affairs. You may be able to prevail in a competition or successfully solve some personal difficulties. The only thing that could slow you down can be dizziness, general weakness, or an unpleasant conversation with someone close to you. In the evening, it is recommended to spend time with children. Alternatively, you can go to an entertainment center or enjoy active leisure. 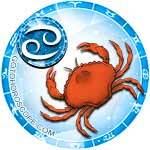 Cancers today are encouraged to begin work on eliminating bad habits. Be honest with yourself and do not pretend that there are no errors in your behavior. Another important task for this day can be eliminating the troubles associated with teaching a younger relative. Your finances may also require attention today. There is a possibility for a spontaneous expense, because of this, you will have to spend time budgeting your recent expenditures. 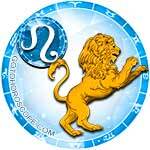 Leos today can get lucky during business negotiations. Those looking for work should contact their friends. It is likely that some of them will offer a good job. Thursday is not the best day to arrange your personal destiny. Today, many things will not be perceived objectively. It is possible that because of your mindset, you will be forced into intellectual debates. You should spend the evening quietly reading. 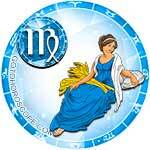 Virgo, February 21 is unlikely to have big things to worry about. There is a high probability that life will lead you to calmness and simplicity. However, a number of the most pressing problems related to finance, business, or intra-family conflict are not likely to be resolved. It is recommended to take steps toward the future. Do not refuse useful acquaintances, and do not ignore the help offered by relatives or friends. 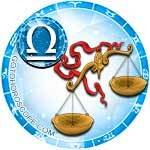 The behavior of many Libra today can be unpredictable. Try to control yourself in the matters that do not tolerate aggression, pathos, or whimsical fancy. The second half of the day will probably consist of numerous meetings. There is a chance that these acquaintances will change your personal life for the better or help bring you closer to a bright career future. Thursday is suitable for the development of creative ideas as well as for the systematic care of their well-being. Many Scorpios on February 21 can expect a lot of luck. It is likely that Fortune will agree to support bold initiatives in financial and professional affairs. 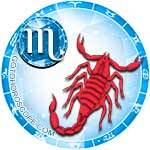 Perhaps some Scorpios will be lucky in the events of his personal life. However, your idyllic picture of this day can ruin your unstable mood. Control your pronunciations because your words are likely to be misunderstood. 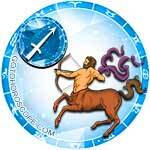 For many Sagittarius, this day will fly by like just a couple of seconds. Some interesting trips and meetings are likely to happen. It is also possible that Thursday will bring a certain amount of unexpected romance. It is not recommended for you to engage in the exchange of real estate or the purchase of goods through online shopping. In the evening, you should diagnose your well-being. If your health is less than ideal, you should reduce the rhythm of your life. 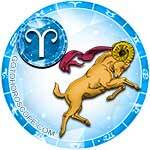 Capricorns are not recommended to devote this day to the start of new ideas. It is likely that their implementation will be hindered by planetary alignment or the lack of adequate support from others. It is possible that your primary problem will be the lack of strength or the insufficient resources for the implementations of your idea. Family and friends promise to be a helpful outlet through this tense moment. Open up with them about your problems. 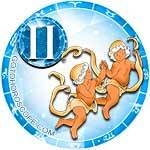 For Aquarius', the likelihood of landmark meetings and fateful acquaintances is high today. There is a chance to find the patron for your bold ideas (perhaps a sponsor for personal business or creativity). 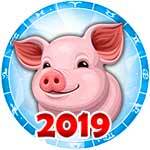 As for everyday matters, there is little chance for major achievements or annoying hitches. It is recommended to spend this Thursday light. Secure the results of your past victories, pay attention to close family members, or do a noble act. 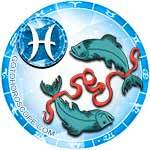 Pisces, today, you are unlikely to have the desire to actively move towards your dream. Apathy is likely to be evidenced in many areas of life. It is important for you to determine the causes of such sentiments. 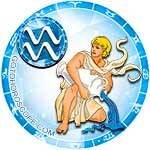 Perhaps they will be provoked by some kind of ailment, a solar deficiency, or the need for bright emotions. It is recommended for you to do an emotional "reboot". As soon as your tasks are finished, take a moment of rest. Visit a small tour, take part in a team game, or look for a new hobby.